Yesterday I did something very out of character… I woke up early. It’s been awhile since I’ve put some gardening time in and my only free daylight hours these days tend to be when I’m asleep, so I took advantage of the beautiful morning and weeded the beds, thinned the vegetables, ate a deliciously sweet carrot, and took some pictures. 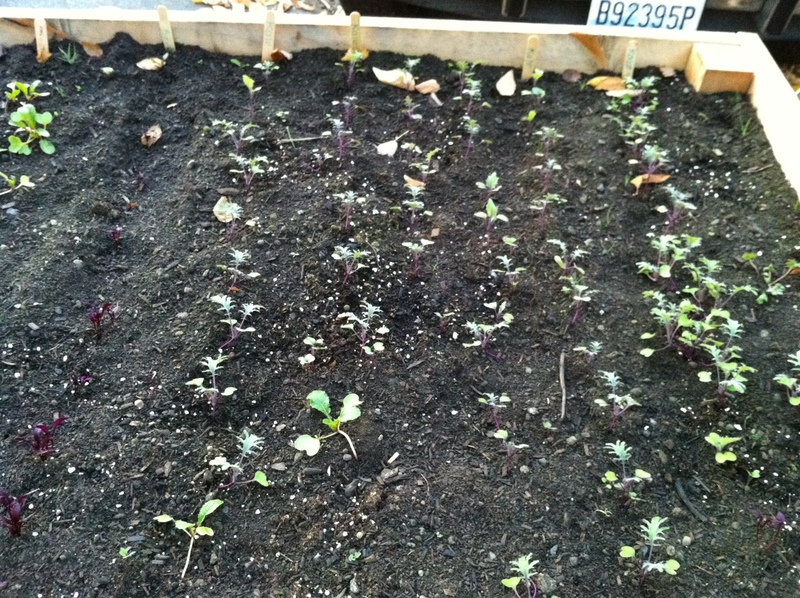 Kale seems to be doing well but I’m worried about the impending cold. 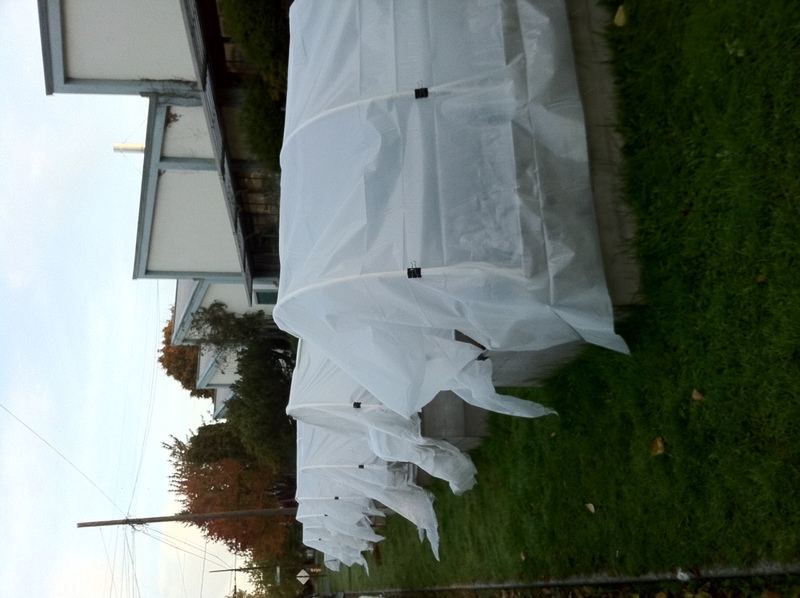 Should we try to craft some covers over our baby plants? 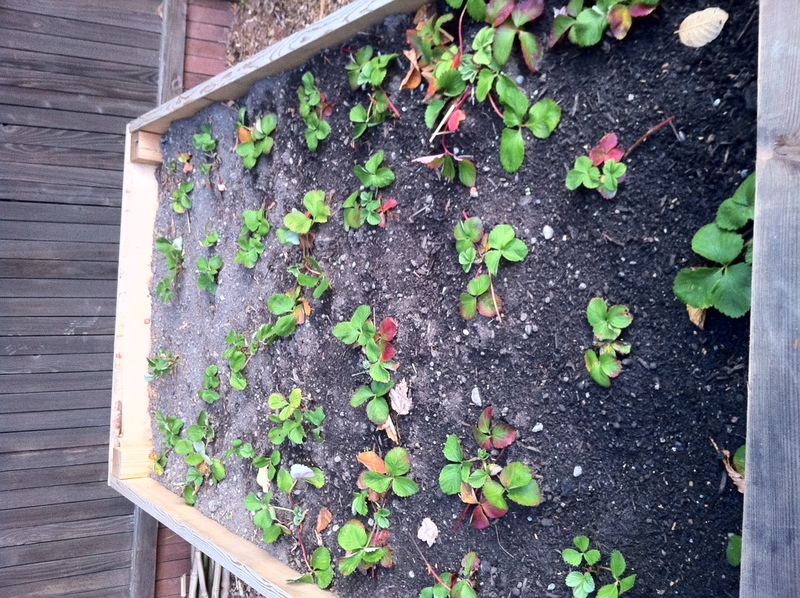 The strawberries haven’t done much but they haven’t died either, so I’m taking that as a good sign! 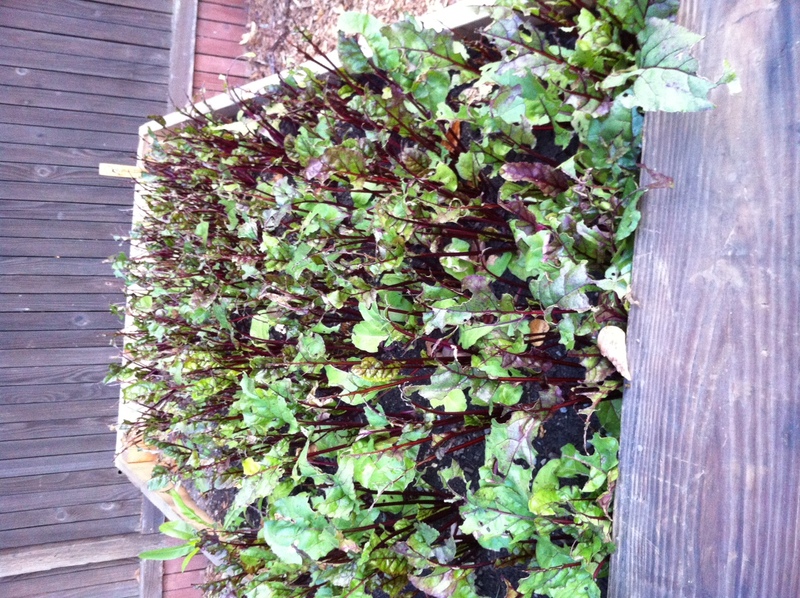 Anyone who wants some Swiss Chard should help themselves – it’s definitely on its last legs. 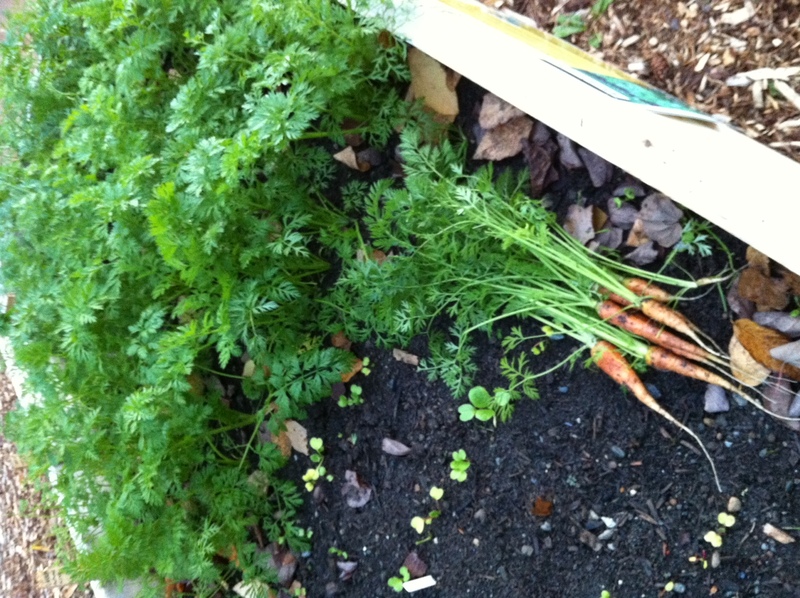 And don’t be shy about pulling up a carrot, brushing off the dirt, and enjoying it while sitting on one of our new benches. 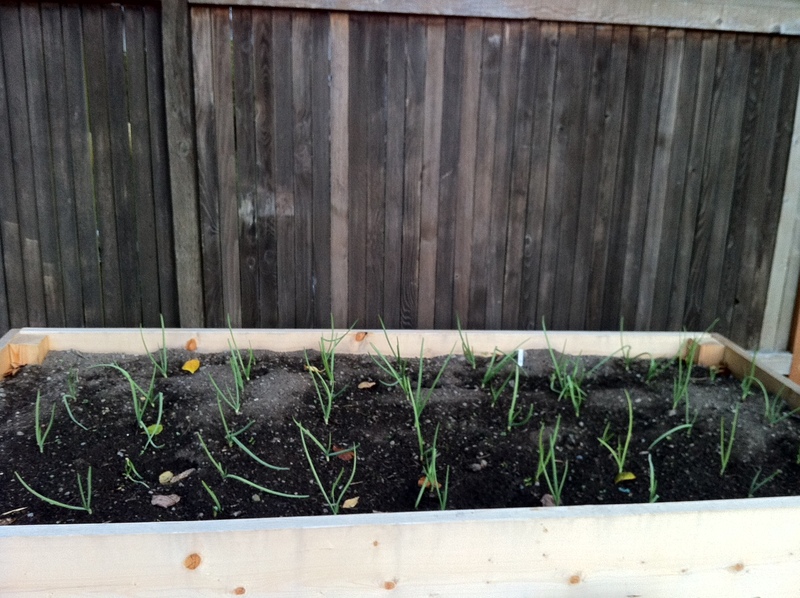 Garden Benches	Just Garden Fundraiser – Success!